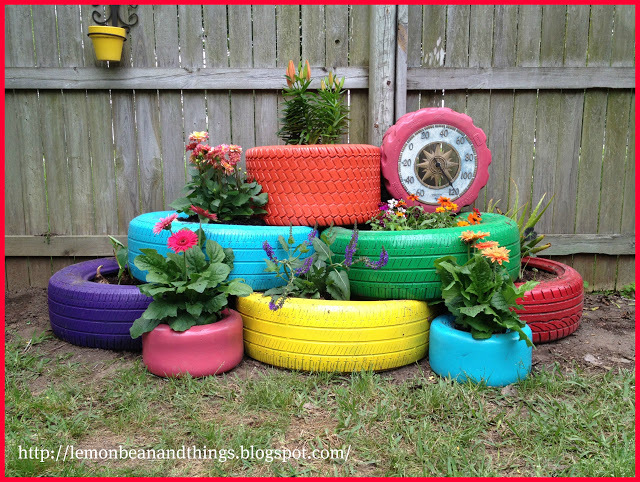 Tyres can be beautifully remodelled to form various structures for your garden. This would give it a unique and satisfying look. 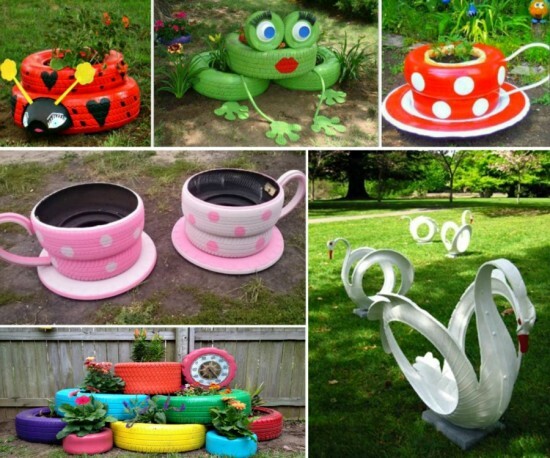 If you are interested check out the frog and lady bug tutorials here.. 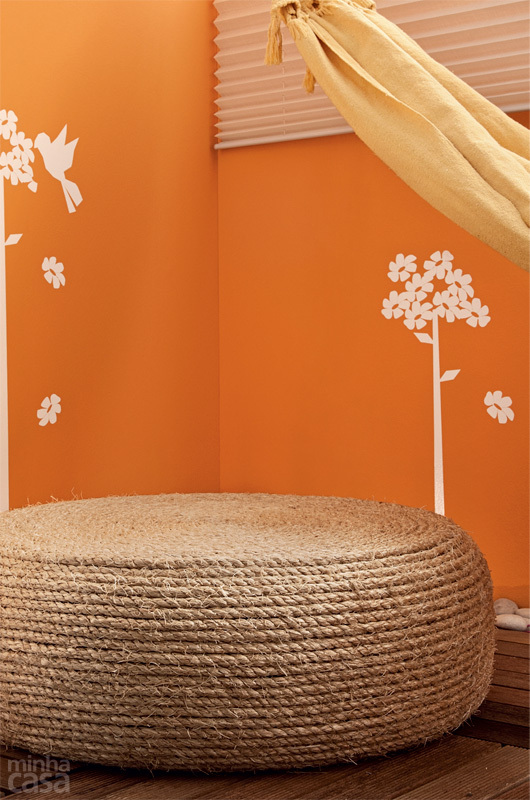 This is a fun project which ofcourse requires physical work and expertise. Here is an innovative planter idea with tyres. 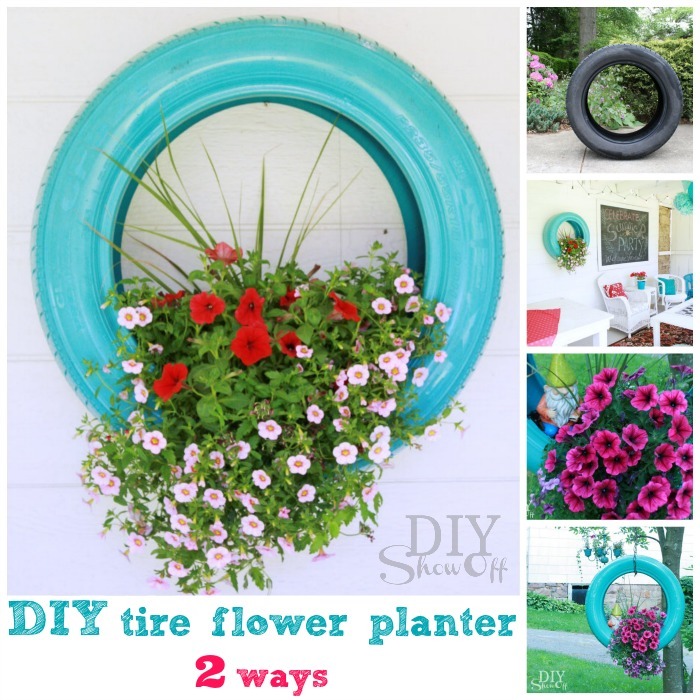 Place the normal flowering pot inside the tyre and you will feel a whole lot of difference. This project could be a sure to have fun activity for the kids at home. 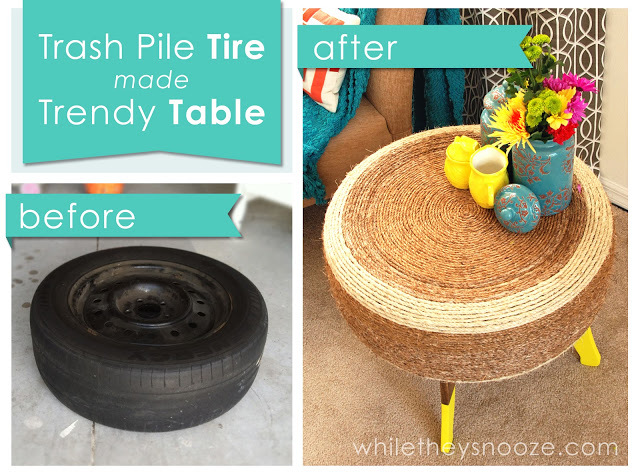 This project would really require lot of effort to be put in but the outcome is worth it.You will need a tire, screws, a drill, a screwdriver, hot glue gun, twisted cord, a cloth, scissors and concentrated brush sealer. 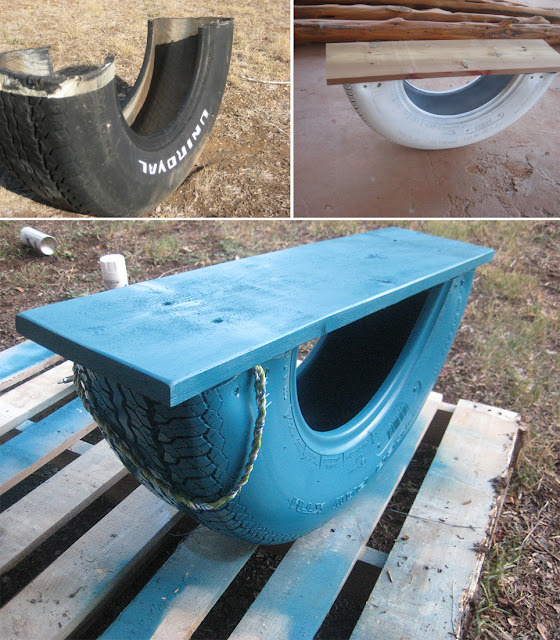 Tyres can decorate your drawing hall too..With the help of basic tools along with tyre , plywood ,ad rope you can achieve this.Follow the steps in the link below if it interests you. Again one more for your kids. All you need to do is Cut the tire in half, insert a small board in the open end. 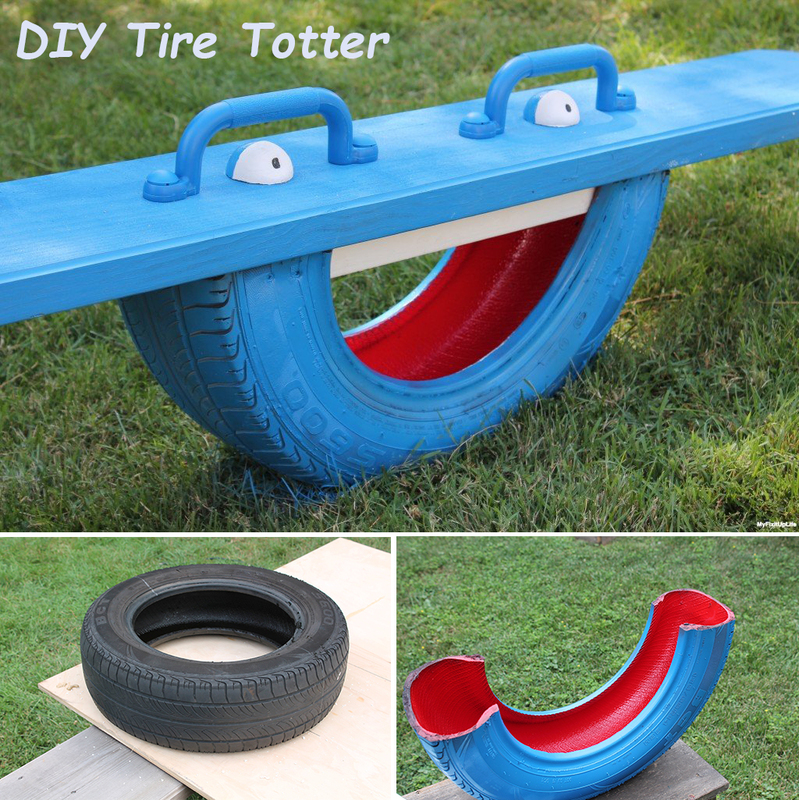 Install the Totter Beam on top of the small board, add handles and paint. 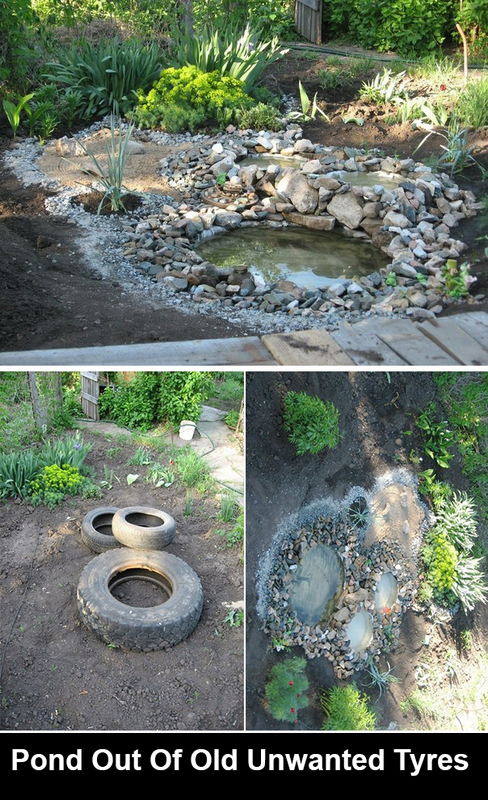 This is one of the amazing projects that can be done with the help of tyres. 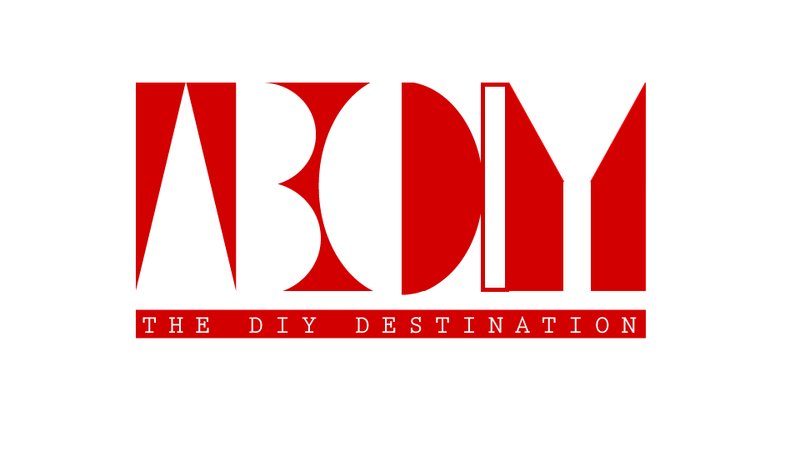 Lot of dedication and hardwork goes in to the making of this. Of all the ideas, creating furniture out of tyre is found to be one of the most reliable one.. For the reason, it is more durable and looks stylish too.. 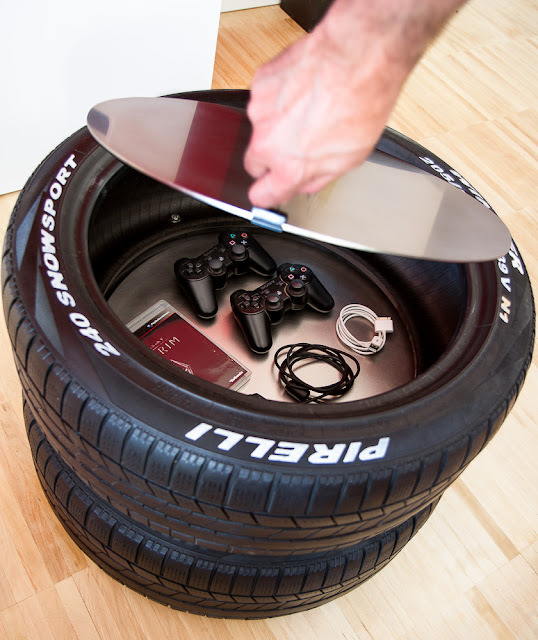 Check out the one given below for a solid tyre DIY for your home. A swing set could be more adventerous with these old tyres. 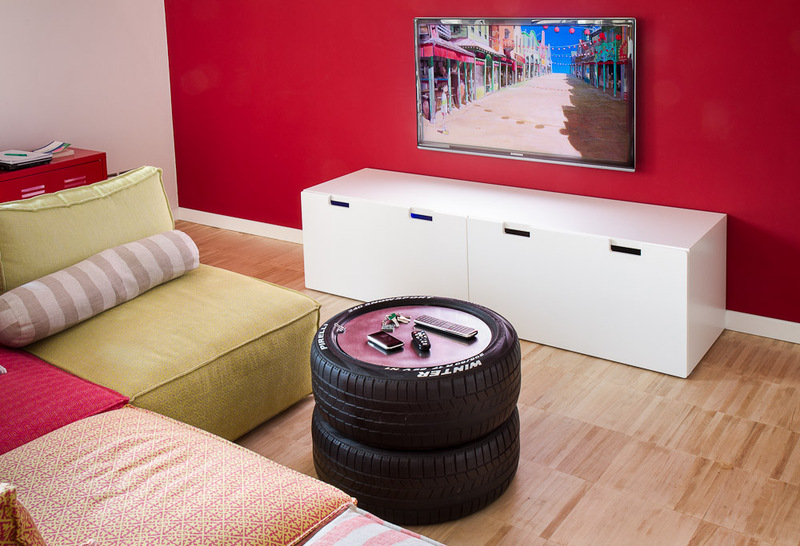 Just replace those ordinary step ladder with tyres as shown. 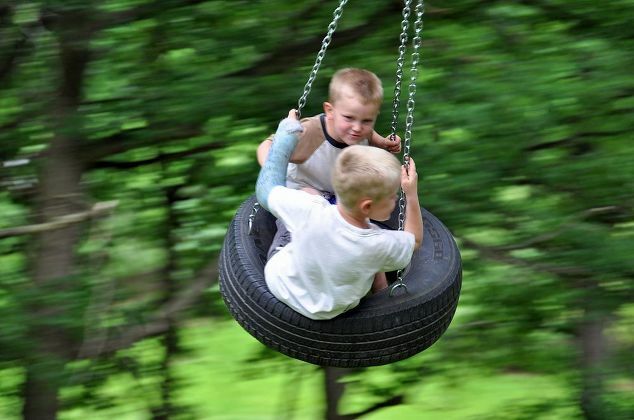 Tires could be happily recycled to a swing as shown below. 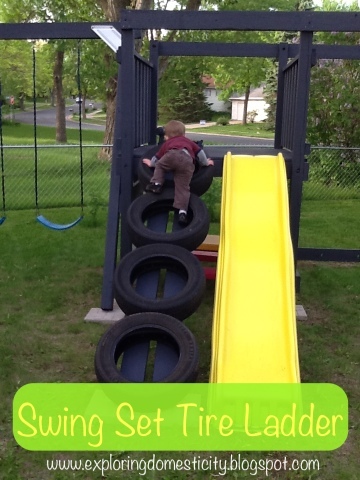 Just spend time to suspend the tire with the help of a chain and bolt. 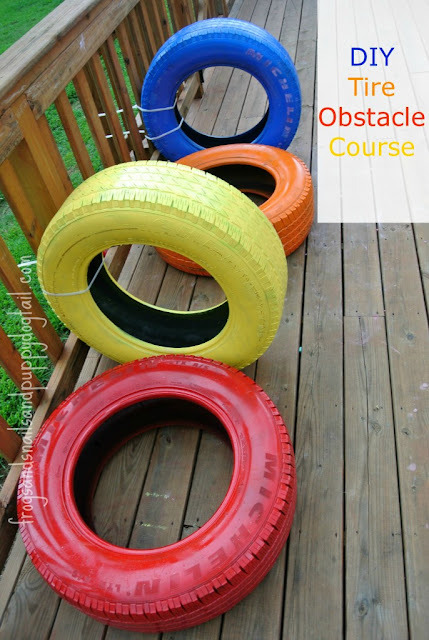 This is an innovative idea to engage those hyperactive toddlers at home. 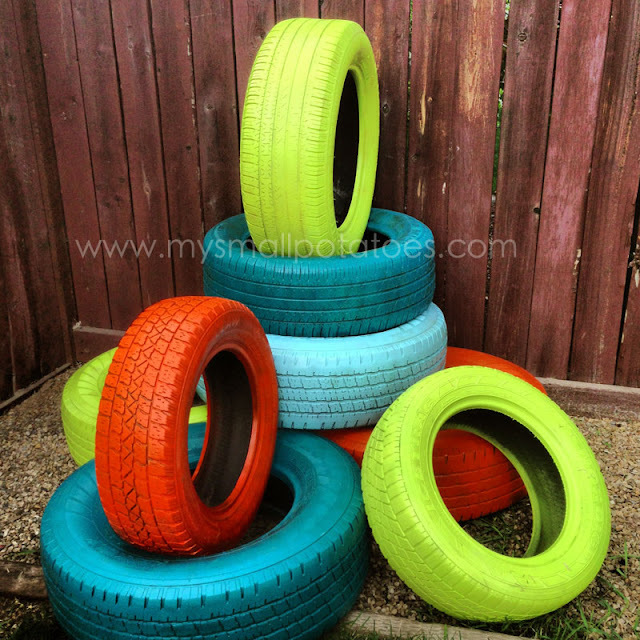 All you would require is old tyres , few spray paints to make them colorful and zip ties.